/ Join UofL CarShare this fall for just $1! Need a car for personal of professional trips? A quick run to the store, an appointment, a meeting in Danville, or a weekend getaway? 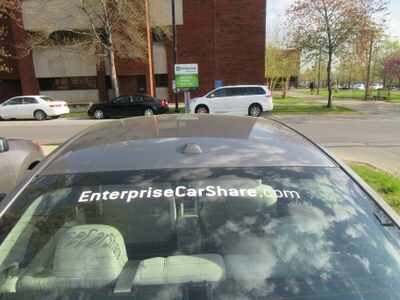 UofL CarShare has a fleet of fuel-efficient vehicles available on Belknap campus whenever you need them. Join now for only $1 and drive for just $5/hour through the end of 2017! Rates include gas, insurance, a dedicated on-campus parking spot, maintenance & roadside assistance. It's considerably cheaper for UofL than reimbursing personal mileage for most one-day trips. The program is open to any licensed driver over 18, whether students, faculty, staff, or members of the public. You can also find and offer rides with UofL’s free rideshare network, Cardinal Directions. Ridesharing saves both you and UofL money while reducing pollution, traffic, and parking hassles. Learn more about UofL's many Sustainable Transportation Alternatives!